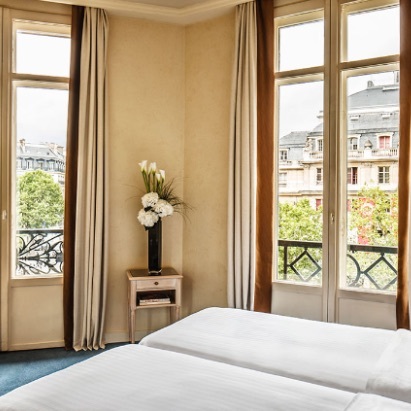 Behind a discrete entrance on Avenue Hoche, which spins off the Arc de Triomphe in the tony 8th Arrondissement, you'll find the hip and luxurious Royal Monceau Hotel (part of the Raffles group of luxury hotels). 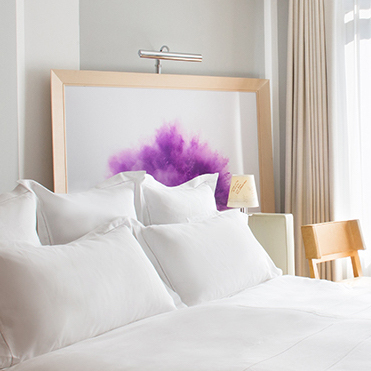 Created by one of our favorite designers, Philippe Starck, this modern and innovate hotel is a breath of fresh air compared to the Louis XVI feel of many Paris luxury hotels. And we're not the only ones who think so. 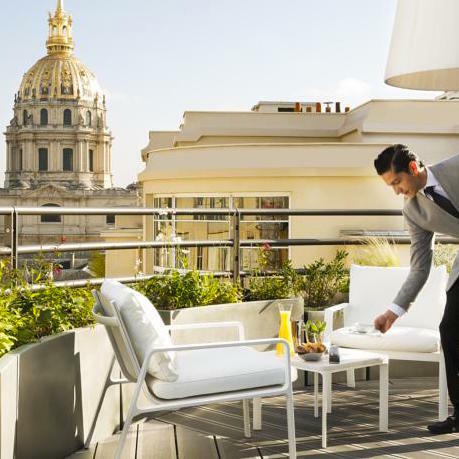 The Royal Monceau has been awarded the absolute highest designation a hotel in France can receive — Distinction Palace, above 5-stars. 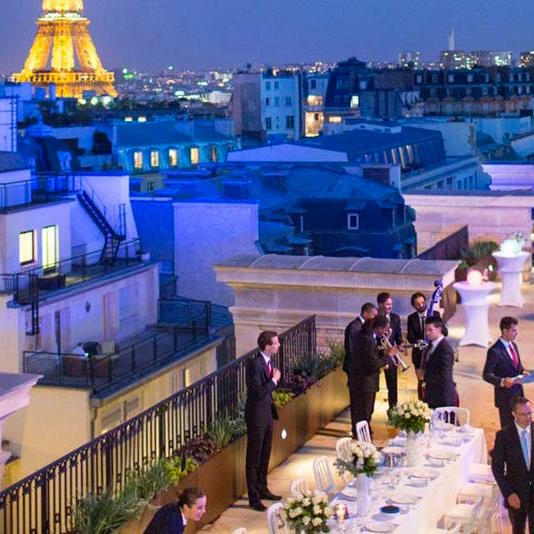 It's also received the 2015 Travelers' Choice award for both luxury hotels and for all hotels in France. 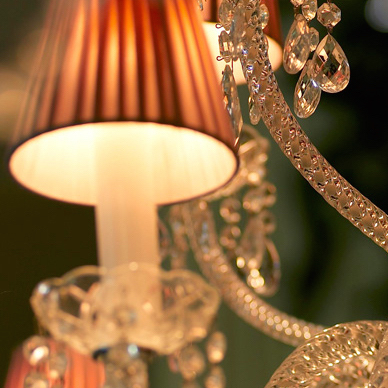 The Royal Monceau is also rated Superb-Plus ! by us, our highest ranking. Creativity and modern elegance. 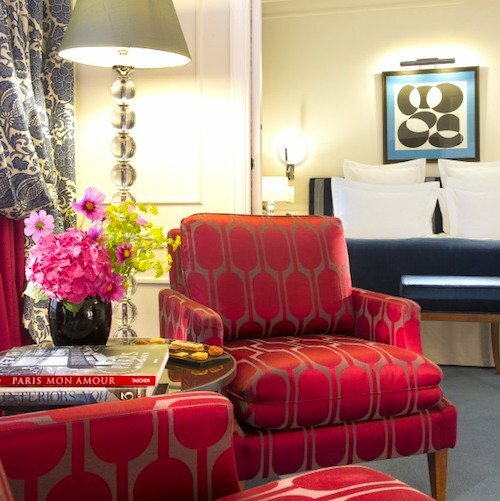 The Royal Monceau offers more than just bed and board (luxurious bed and board!) for you'll also find astonishing touches like and an gallery/library and the exclusive service of the hotel's own Art Concierge. There's a state-of-the-art screening room or, if you happen to opt for one of the massive Presidential Suites, a private theatre within your own suite. Then there's the photography collection, the art bookstore, and the crowning touch — the 16,000 square foot spa by Clarins, which features a 75-foot infinity pool, relaxation & treatment rooms, and dedicated personal fitness coaches. 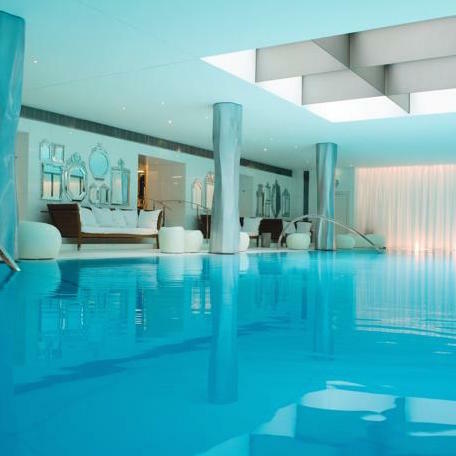 This has to be one of the very top spas in all of France. There are two restaurants at the hotel — La Cuisine, serving French-inspired classics, and the Michelin-starred Il Carpaccio, specializing in the best of Italian food. There you can munch on pastries made by über-pastry chef Pierre Hermé. The rooms are spacious & airy and include both a bath and a shower, living room with executive desk, handcrafted furniture from Philippe Starck, unique art pieces and an acoustic guitar. Really, doesn't every hotel room absolutely need a guitar? We think so. Kids? 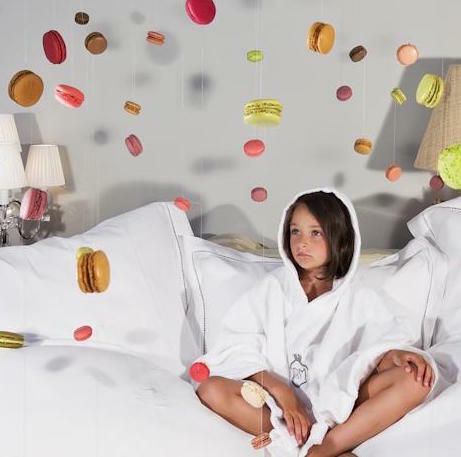 The Royal Monceau loves 'em and has created a program just for children. Le Petit Royal (as the program is called) is probably the best kid's program in Paris. 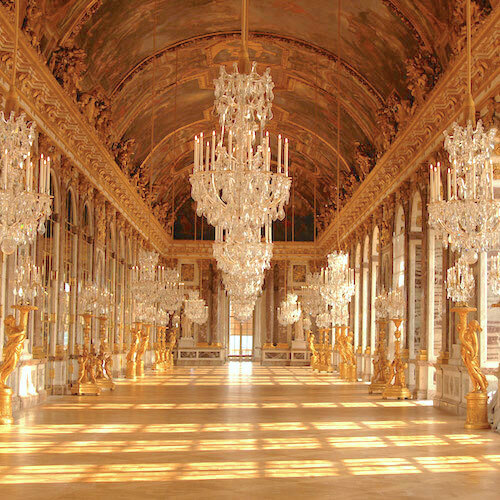 There are creative art programs led by artists and tied into current exhibitions in Paris. Then there are the fun weekend cooking workshops in the hotel's Michelin-starred restaurant, La Cuisine. Our fave, though is the option that allows girls for follow in the footsteps of a prima ballerina for a day!